Please note the multi-page form sequence feature is only currently available for users who are logged in to your site. In your SEBLOD Content Type configuration options, set the number of stages you need in your sequence. Add enough Button Next fields (from SEBLOD Core) so that you can progress between each stage. In the final stage, you will add a Button Submit field. Using button  in your Site or Admin Form view, assign each field including your buttons to a stage in your form sequence. Ensure you set the fields that should appear in the last stage of your sequence to "Final". After the first stage of your form, a content item is created and then re-opened in the second stage to add more information. For this reason, you need to set the "Edit Own" permissions for the level of logged-in user you wish to be able to use the form. 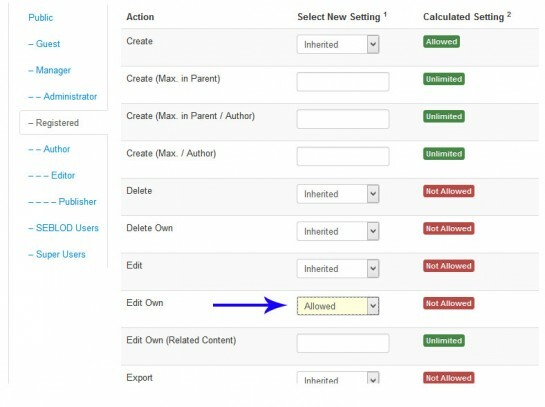 Then set the "Edit Own" permissions for your required user group.